The early 1900s to 1940s saw the Craftsman window find popularity. While Victorian windows were tall and narrow, the Craftsman style featured a wider, more horizontal window. They are considered by many to be the predecessor to the modern sliders. Often paired with deep overhanging eaves and broad gables, the Craftsman style window is mainly seen on single story homes with large attics. As American homes moved away from tall, narrow buildings that were grouped close together, they began evolving into single-story homes set in spacious lots. The lower profile and wider stance made the tall windows of the Victorian era look awkward. 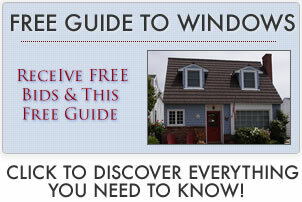 Craftsman windows were designed to look good on the new style of home. A common configuration of Craftsman windows was to have frames with 4 or 6 small panes on the top sash and a single large pane on the bottom. The visual appeal of multiple panes draws the eye and creates interest. The large bottom pane, however, provides a clear view and allows more light into the home. Explore ore on picture window prices. Before this window style became popular, Victorian windows were in fashion. On tall, narrow structure in the city these windows fit right in. As homes moved into the suburbs a new window was needed to work in lower, more horizontally oriented buildings. The Craftsman window was developed to meet that need. Low and wide like the new houses, the window melded well with the lower profile while still providing visual interest. Unlike many styles that are no longer in use, homeowners with Craftsman windows and homes often take great pains and expense to keep the original architecture intact. Certain neighborhoods are predominately Craftsman styled, with their wonderful low slung eaves, large porches and beautiful wood work and windows.